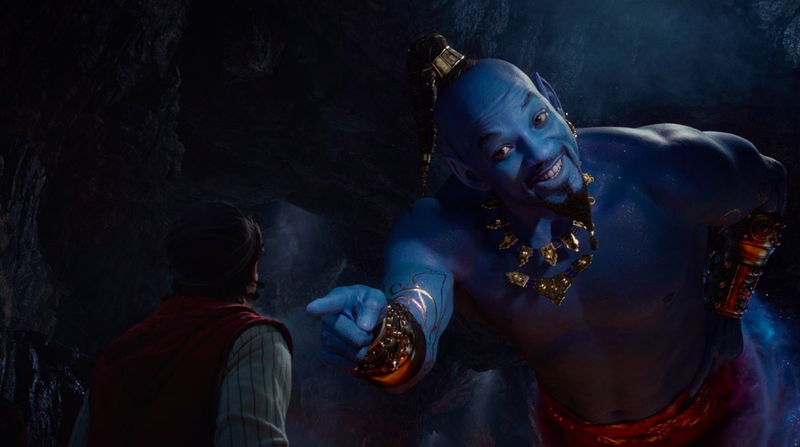 Back in December, an Entertainment Weekly profile noted that Smith’s “blue” look—familiar to fans of the animated version, and Robin Williams’ outstandingly motormouthed performance—was still being worked on by the movie’s special-effects wizards. And now, we finally have a good idea of what Smith will look like (and sound like) when he takes on the iconic character. Aladdin, which also stars Naomi Scott as Princess Jasmine and Mena Massoud as Aladdin—and is the second of Disney’s live-action remakes in 2019, after Dumbo but before The Lion King—is out May 24.